If you’re like most property owners, you probably rarely think about the condition of your sewer pipes. The sewer system is one of the most important parts of any home or business, safely and efficiently removing the wastewater and washing it away into the municipal sewer system. When something goes awry with your system, you may be dreading the cost and inconvenience of repairs, but when you call Rooter Drain Experts to solve the problem, you can feel confident that you’re getting the most efficient and cost-effective method of sewer repair in the world: trenchless sewer pipe repair. Trenchless pipe lining, also called cured-in-place pipe (CIPP) lining, is a major innovation that has saved homeowners thousands of dollars in repairs. CIPP lining is the most cutting-edge pipe repair solution for residential and commercial pipeline systems. Our technician pulls a liner filled with a specially formulated epoxy resin into the damaged pipe. When the liner is aligned properly, it will be expanded until and it until the epoxy liner has fully coated the walls of the original pipe. After two to three hours, the epoxy dries, fusing to the inside of the original pipe to create a new, joint-free pipe. Trenchless pipe lining is not only innovative but also much more effective than traditional methods of repairing sewer pipelines. Trenchless sewer repair creates a brand-new, high-quality and long-lasting pipe that is more robust than the old pipe, with better-quality water flow. Pipes installed with the CIPP lining method often last maintenance-free for decades. CIPP lining repairs can resolve a wide range of pipeline problems, including cracks, leaks, and corrosion. The epoxy pipe lining is both strong and sturdy, and is resistant to developing future plumbing problems such as weather damage, clogs, root intrusions, and mineral deposit accumulation. Customers who choose trenchless solutions over traditional repair methods continue to save money over the long run by avoiding remediation and labor costs. The trenchless repair process is safe for use on a variety of piping materials, including clay, concrete, metal, PVC, and fiberglass. Trenchless repair preserves the integrity of lawns, landscaping, patios, sidewalks, driveways, and building foundations. 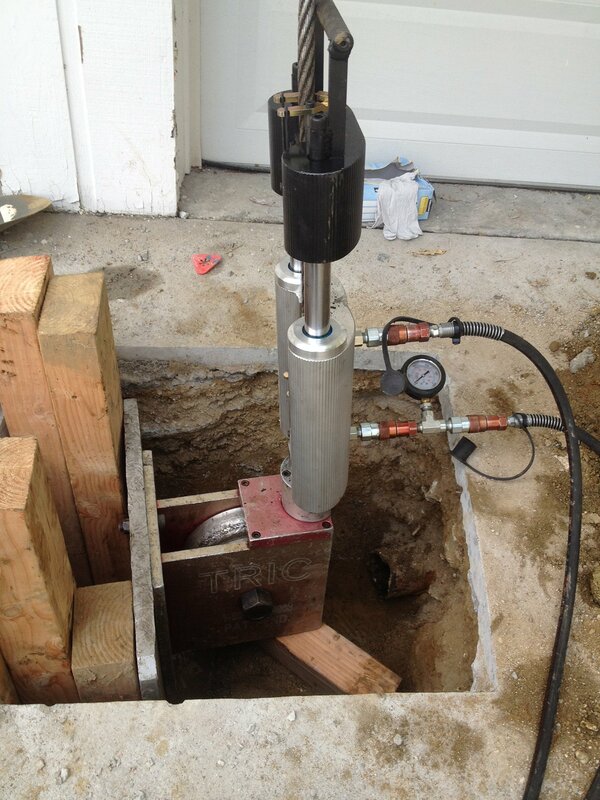 Because it is so efficient, trenchless repair is more convenient for customers. Pipeline projects that used to take weeks now usually have a turnaround time of 24 hours or fewer. Because they do not require as much fuel or equipment to complete the job, trenchless repairs have a far smaller carbon footprint than traditional repair techniques. Rooter Drain Experts has been providing affordable and professional pipe lining services to our residential and commercial customer in Sunland for more than 20 years. We are a local, family-owned business based in Canyon Country, California, and we proudly serve the nearby communities of San Fernando Valley, Los Angeles, West Hollywood, Simi Valley, Ventura, and Antelope Valley. Regardless of what problems you are experiencing in your pipes, count on Rooter Drain Experts for timely repairs. If you have any problems with your sewer system or you need a checkup, call us. At Rooter Drain Experts, we provide friendly service, and you will have complete insight into your problem as our experts advise you on the best possible efficient and affordable solution. The services we provide are top of the line and the latest in sewer pipe repair and installment technology, so you can rest easy as we deal with all of your sewer problems.